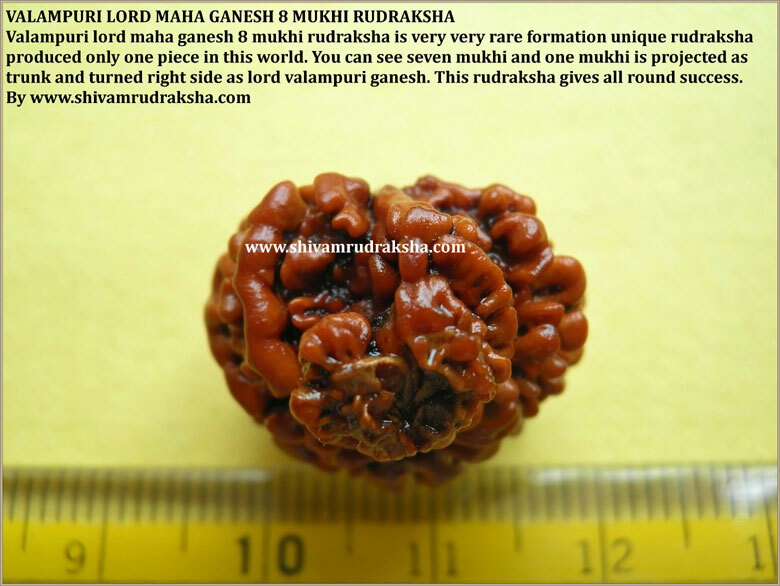 Valampuri lord maha ganesh 8 mukhi rudraksha is very very rare formation of unique rudraksha only one piece produced in this world. 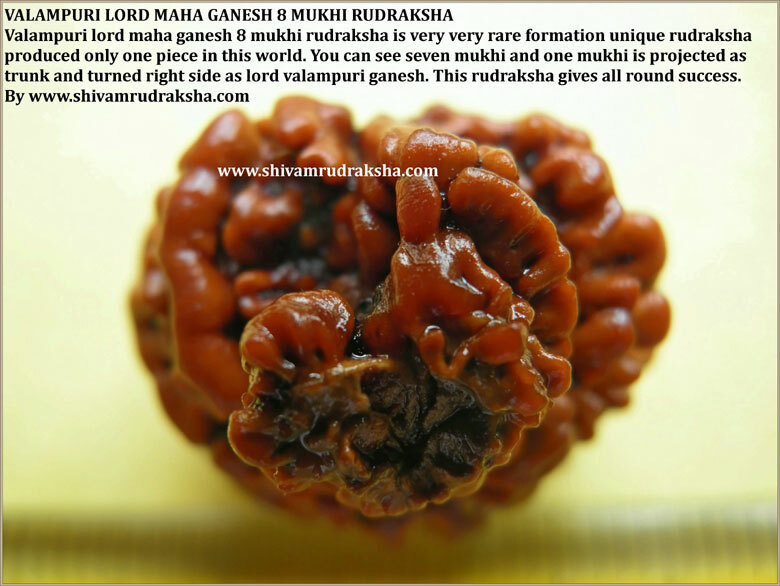 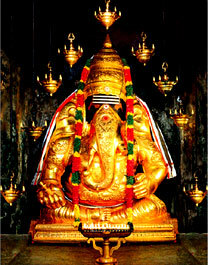 In this valampuri lord maha ganesh 8 mukhi rudraksha you can see seven mukhi and one mukhi is formed in shape of lord maha ganesh trunk and turned right side naturally as valampuri ganesh. By keeping this rudraksha you can get very good happiness and all round success in your life.